About Me – It's Hamiltime! 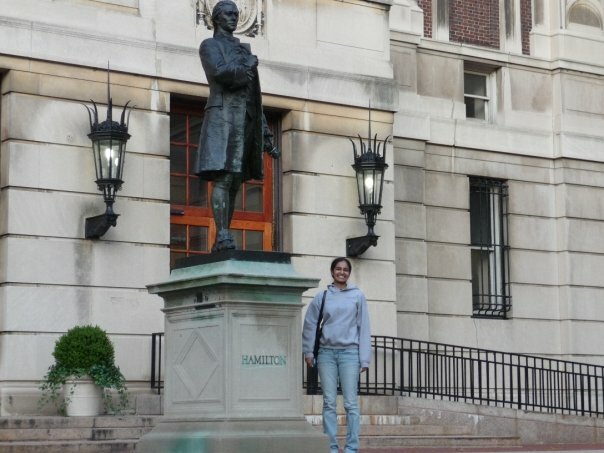 I’m Pooja Nair: a Los Angeles-based lawyer by day, historian by night, and Hamiltonian 24/7. I’ve spoken on various topics related to Hamilton and his legal career and legacy at venues including Federal Hall National Memorial, Morris-Jumel Mansion, Hamilton Grange National Memorial, the Museum of American Finance, the National Archives in New York City, and at GeekGirlCon in Seattle. Feel free to contact me regarding speaking engagements at the email address below. For the latest Hamilton updates, follow me on Twitter @ItsHamiltime. You do justice to Hamilton’s legacy. We look to get more of your insights! Love the passion on this website! Happy to have found your site. Wished I had discovered it on time to attend your talk on Manhattan Well tragedy. Please check out my new novel on Elma Sands’ murder. So happy to see this site. (I was searching on info on Hamilton and Haiti for an essay on the French Revolution.) What are we going to do about the $10 dollar bill?? What can we do to keep the creator of our currency on it?